Are you tired of the rat race and would like to settle down in a small New England town? Have you dreamed of owning your own business but newer got a chance ? Here is your opportunity! 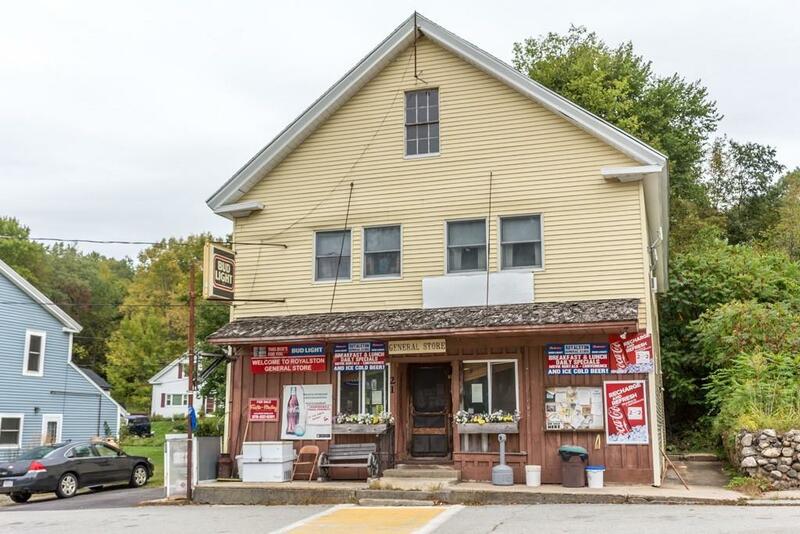 Become the owner / operator of an established Royalston General store and restaurant. Be a part of tight knit community. Operate the store and restaurant with dining area on the first floor and live in the spacious 2nd floor, two bedroom apartment with an office. Restaurant serves breakfast, lunch and dinner and has a pizza making machine. All food service equipment to convey. Store is a check in station for fish and game, sells local fish and game memberships and snow mobile permits. Liquor, lottery and motor oils licenses and sells groceries. Building has newer roof, electrical and heating systems. With all the amenities you are still only minutes away from RT 2! You can convert it back to single family home (there is a bathroom on the first floor ). Listing courtesy of Aleksandr Domnitser of Foster-Healey Real Estate. Disclosures Tenant Of The 2nd Floor Apartment Needs 30 Day Notification To Vacate Premises . Listing provided courtesy of Aleksandr Domnitser of Foster-Healey Real Estate.